Last month, the parking lot outside of the Conference Centerat Shippensburg University hosted over 100 local business leaders, community organizers, and elected officials to celebrate the opening of the new Courtyard by Marriott in Shippensburg. There was definite excitement over a new place for business and leisure travelers to stay and unwind in the Cumberland Valley. After going through a tour of the hotel, many attendees were wowed by the design and décor. Located beside the Conference Center, across from the Shippensburg University Football field, and within a mile of the H. Ric LuhrsPerforming Arts Center, the Courtyard by Marriott is sure to be a preferred place to stay in Shippensburg. The new hotel boasts four floors, combining for 110 guest rooms and suites. Each room includes spacious bathrooms, in-room WiFi, and comfortable work space. 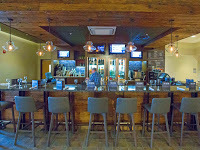 Courtyard by Marriott Shippensburg offers an elegant, yet casual dining area and restaurant ‘The Bistro’, which serves breakfast and dinner, as well as wine and beer with a 24-seat bar area. The hotel also offers Starbucks Coffee. The hotel features an indoor heated swimming pool and spa, fitness center, and outdoor fireplace and grill. The Courtyard’s meeting room is adjacent to the open lobby area with 1,230 square feet of space and can hold meetings of up to 50 people. One of my favorite features as a football fan was the interactive Marriott GoBoard, which includes a NFL section with live scores and schedules. The GoBoard also conveniently displays weather and flight information. 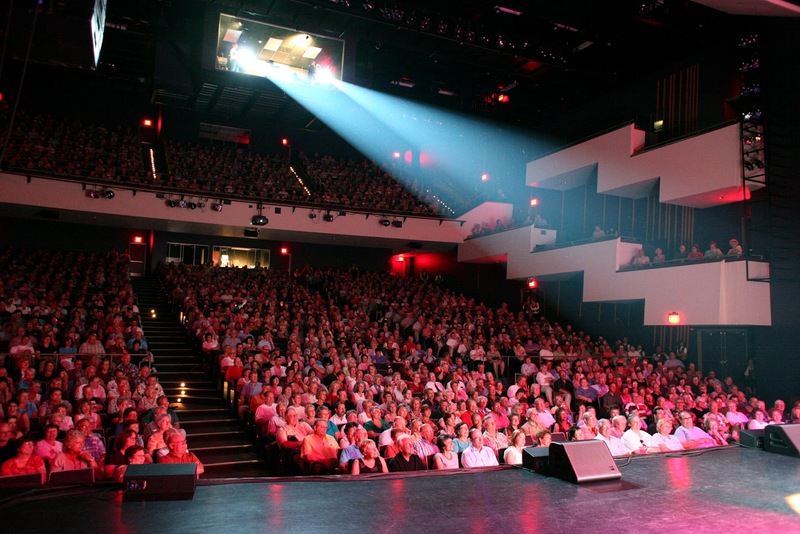 The location of the Courtyard by Marriott is ideal to business travelers looking to use the Conference Center at Shippensburg University, guests and parents attending Shippensburg University activities, and event goers to the Luhrs Center. The hotel perfectly ties into the Raider pride of Shippensburg University. You’ll also want to explore the shops and restaurants in downtown Shippensburg during your trip. 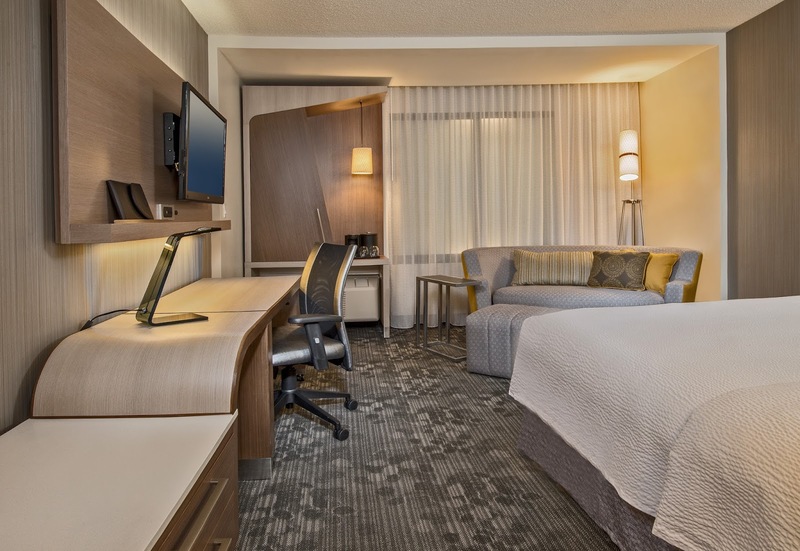 Whether you’re in the Cumberland Valley for business or leisure, the Courtyard by Marriott in Shippensburg is a luxurious place to stay!